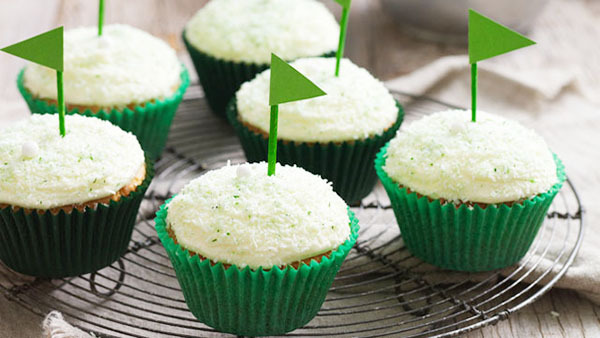 Our golf week continues and today we have some super lovely golf flag ideas to show you! 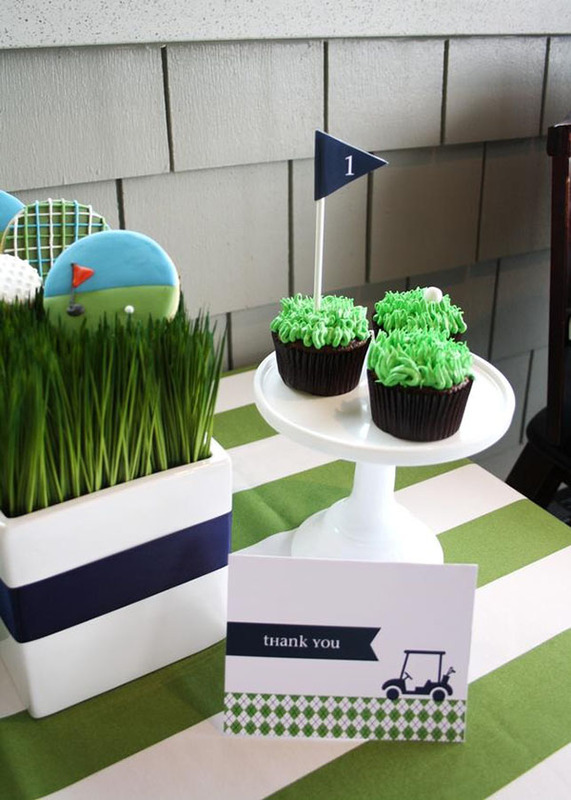 Golf Flags are another one of those things that are essential for golfing and look absolutely darling as details in a golf party. 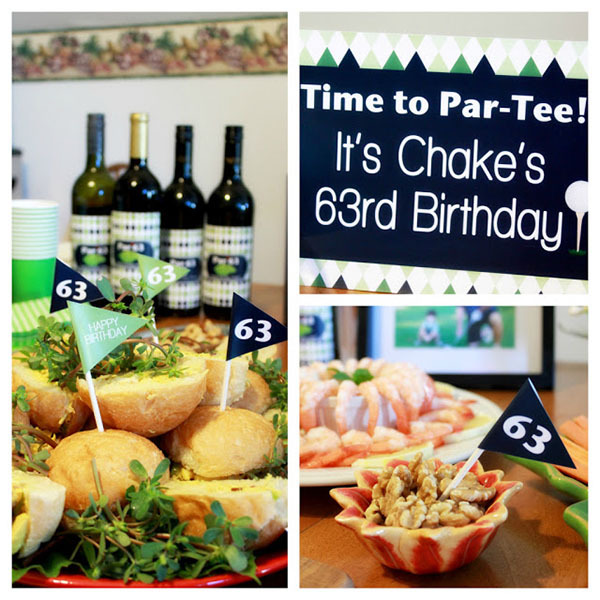 You can place tiny flags on anything from invitations to favors and everything in between. There are so many different looks and styles you can do with the flags so they look lovely on anything. They can match any theme with whatever color or pattern you can dream of. They are super easy to make too which makes them even better! 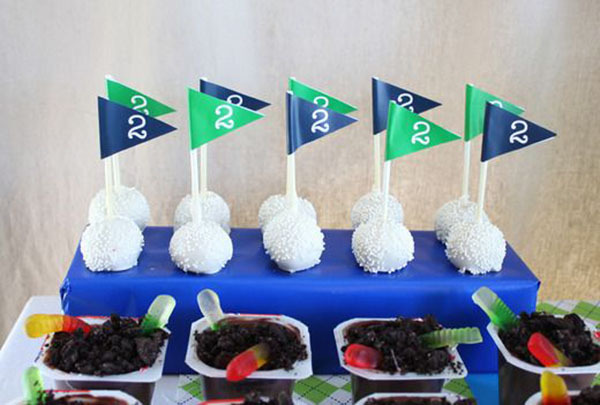 You can put a flag together with a toothpick and come paper in a snap to dress up your snacks and even your desserts. 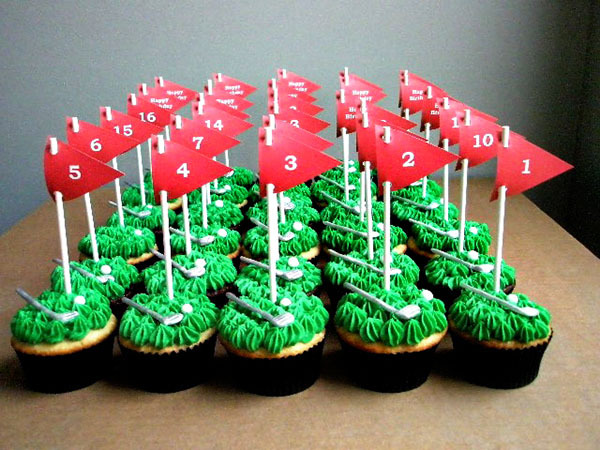 We have rounded up our favorite golf flag ideas from cupcake toppers to centerpieces, decorations and so much more. 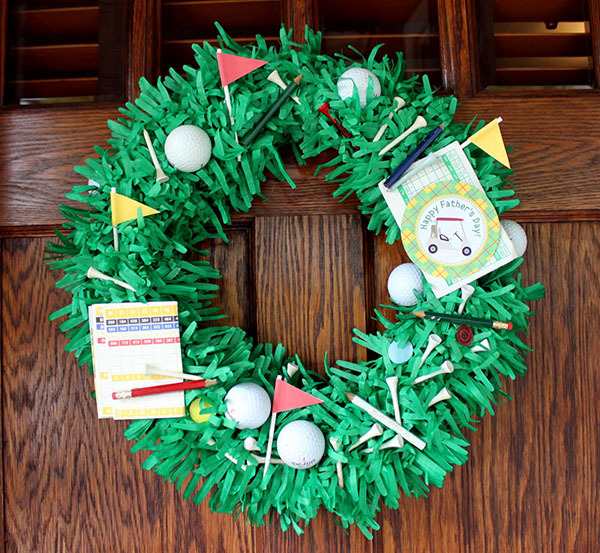 We just love where all of these golf flags are popping up! 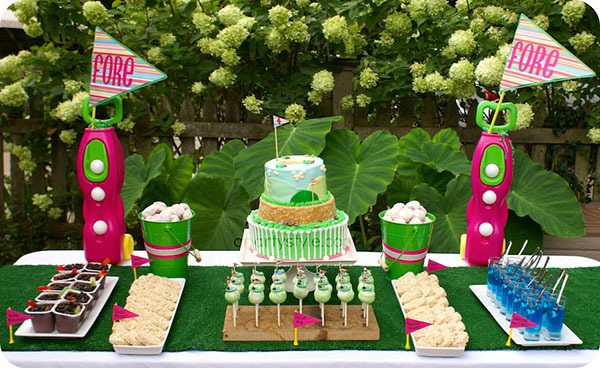 Golf Parties Full Of Inspiration! 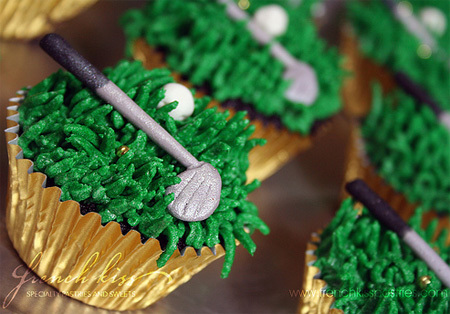 Hole in one Cupcakes! 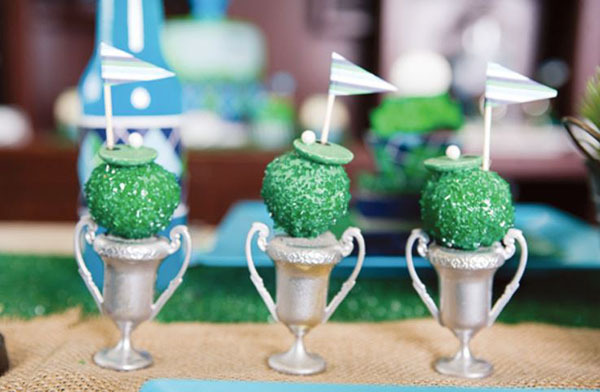 Tee-riffic Golf Ball Ideas! 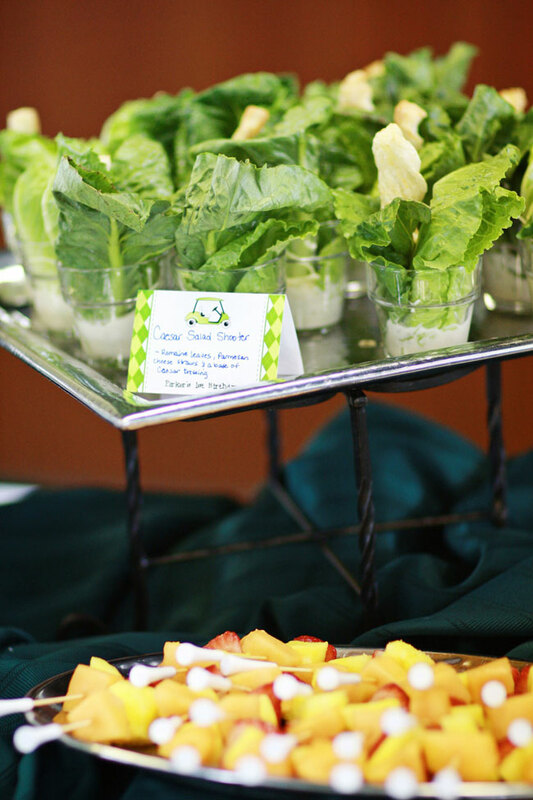 Golf Par-Tee Food!